Super fast acting, deep clean wheel cleaner for use on stainless steel, all plastics, powder coating, all painted surfaces and tyres. Quickly and safely will remove the heaviest dirt, brake dust, salt, mud, dust and general road film grime preventing damage by not relying on harsh Hydrochloric or Hydrofluoric Acids. Muk Junkie Heavy Duty Alloy Wheel Cleaner will save time on your car wheel cleaning process. Advanced formulation offers rapid results without using any harsh solvents, Hydrochloric or Hydrofluoric acids or caustic solutions. 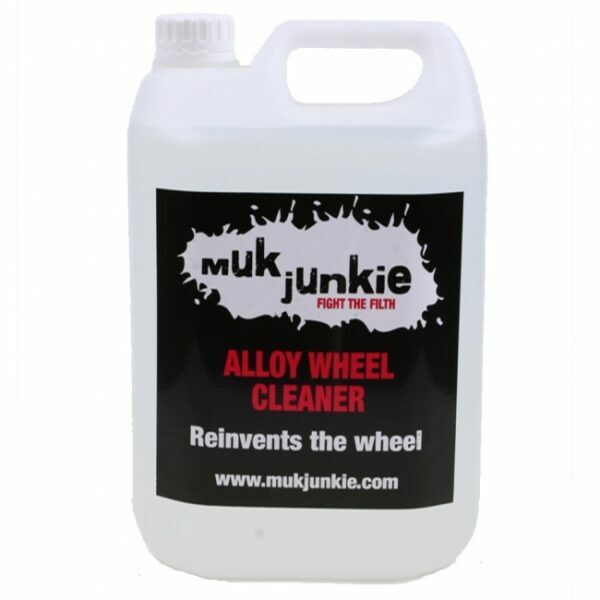 Muk Junkie Heavy Duty Alloy Wheel Cleaner is a fast acting, deep cleaning wheel cleaner formulated using the best raw materials without having aggressive Hydrochloric or Hydrofluoric Acids, we choose a varied blend of surface acting, acidic sequestrants and surfactants to safely clean the dirtiest of wheels. Use this product once on really dirty wheels to remove the most stubborn of brake dust and dirt deposits on painted, clear coated and steel wheels and then use Muk Junkie Acid Free Wheel Cleaner for regular cleaning duties. ALWAYS APPLY TO COOL ALLOY WHEELS. If possible, remove any loose dirt or mud with a hose or pressure washer. Liberally spray on Muk Junkie Heavy Duty Alloy Wheel Cleaner to all surfaces of the wheel to be cleaned. Spray around spokes, rims, wheel nuts and behind all spokes and allow to soak. Leave for between 2 and 10 minutes, ideally don’t allow the surface to dry. Pressure wash off the dirt and cleaner working from the bottom to the top of the area being washed to remove all loose brake dust. Re-apply a smaller amount of cleaner and agitate with a soft brush or microfiber noodle wash mitt. For best results, blow clean water off with an airline or dry with a chamois/microfiber drying towel. Use any wheel sealers or polishes as normal. For a final, protective shine, pick a product from our range of Lazy Boy Vehicle Shine selection for an easy, instant like new polished finish. 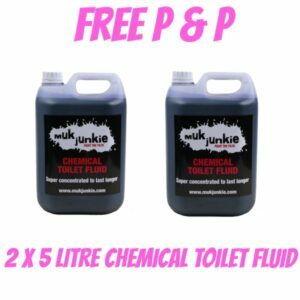 As with all of the Muk Junkie range, if you have any queries about the way this product works, please don’t hesitate to call our technical team free on 0808 145 8450 or get in touch via our contact us form. Fast, spray and wipe detail spray for show, race and road cars, leaves no white marks on plastics. Perfect for last minute detailing, finishing and show prep. Designed in our labs to give incredible results, shine and durability normally associated with hard wax coatings. Polymer Link Technology leaves a micro surface lubricant preventing scratching and swirling. Great for use as a Clay Bar Lubricant before machine polishing. Suitable for use on interior plastics, foot well kick marks and all, painted, plastic and polished surfaces. Super safe wheel cleaner for use on all wheels un-lacquered and polished alloy wheels, stainless steel, all plastics, carbon fibre, anodising, all painted surfaces and tyres. 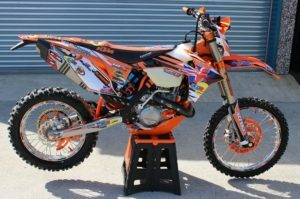 Quickly and safely will remove the heaviest dirt, brake dust, salt, mud, dust and general road film grime preventing damage by not relying on harsh chemcials. Muk Junkie Acid Free Alloy Wheel Cleaner will save time on your car wheel cleaning process.